from the pattern "Beggars Christmas" by Threadwork Primitives. 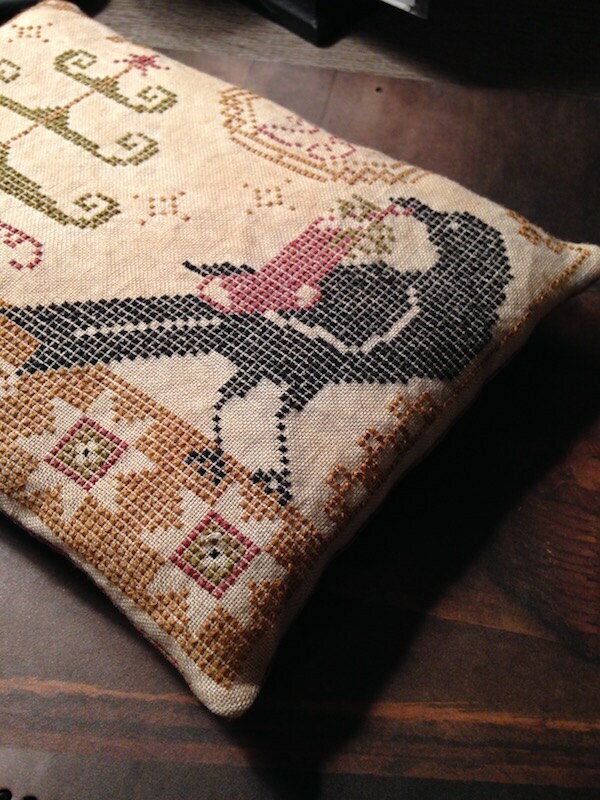 Hand stitched with a vintage look, this pillow tuck's finished Size is appx 6" x 7". Perfect for any primitive shelf. 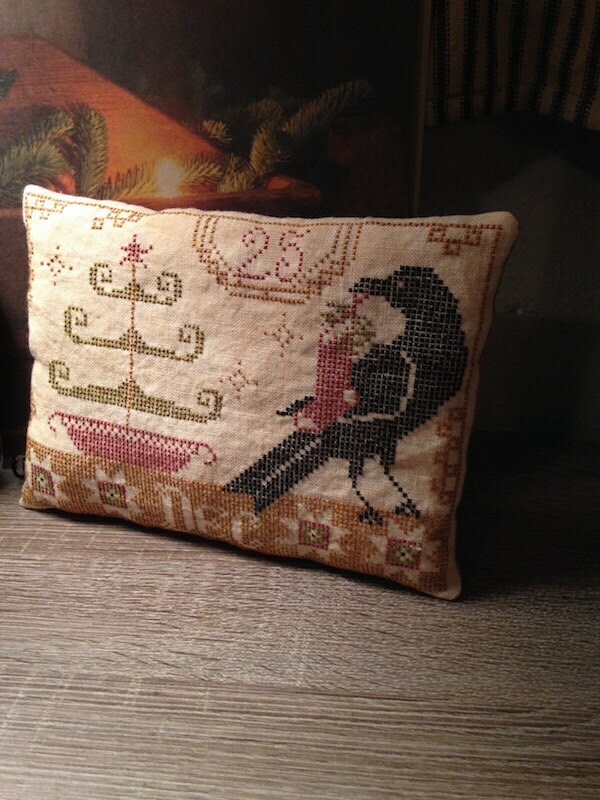 This pillow is made with hand dyed linen front and a vintage xmas homespun backing. Stuffed lightly to keep that "old world" look.